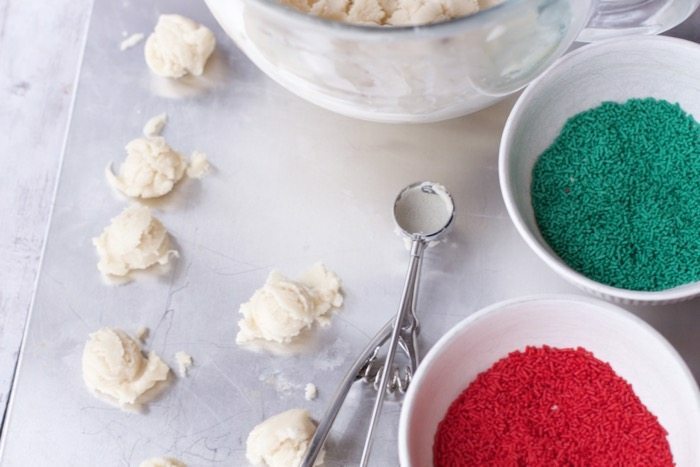 If you follow us on Facebook, you might have noticed I have been posting a lot of Christmas cookie videos and ideas. It is that time of year for Cookie Swap Parties and I love seeing the creativity of my friends when I attend these. Thanks to Nielsen-Massey for providing us with a sample of their amazing vanilla to make our Easy Cookie Recipe for A Cookie Swap Party. 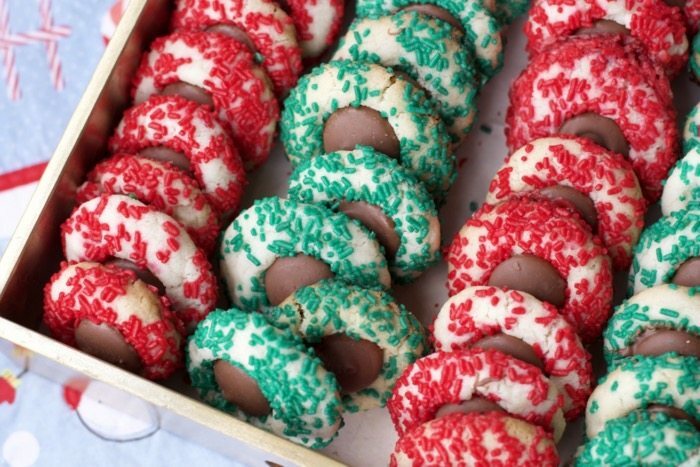 These shortbread drop cookies are festive and pack up so nicely to give as gifts too. These were actually nominated for most festive but since I was the hostess I can’t win a prize. 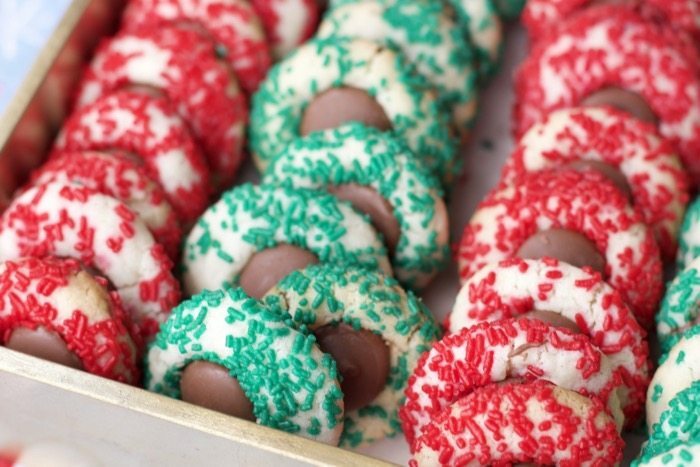 It’s been a award winning cookie swap year for me, check out our elf cookies too. 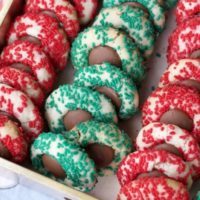 As the hostess, I am not only responsible for making my 5 dozen cookies to swap, but also the food, games and cookie exchange party favors, so having a simple recipe is so important. 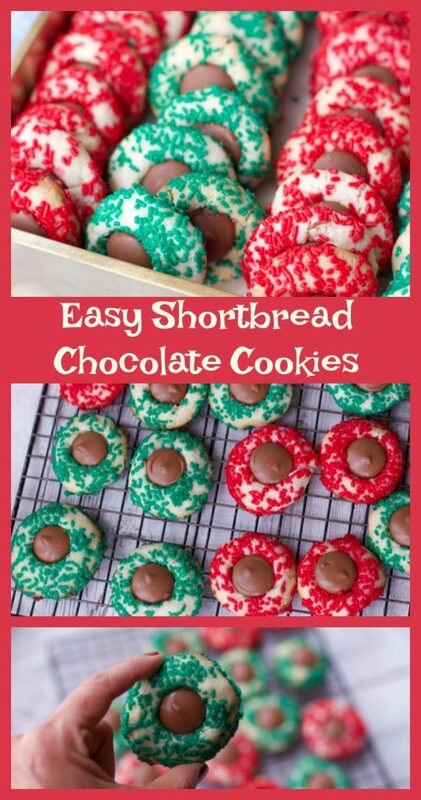 These proved to be easy and delicious which are key to any recipe. 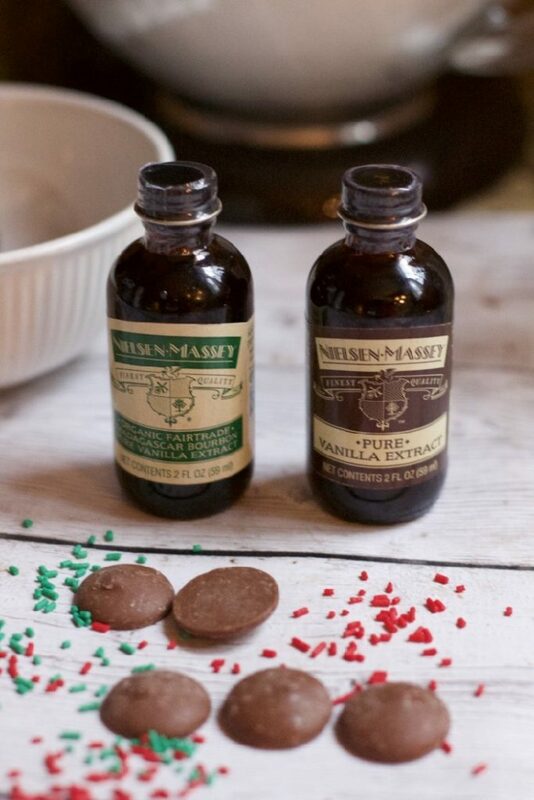 Nielsen-Massy vanillas are my go to vanilla when I bake. Ever since working at Williams Sonoma back in the day and watching Ina Gartin cooking shows, there has been no exception as to the type of extracts I like to use. For this recipe you can use the Organic Fairtrade Madagascar Bourbon Pure Vanilla Extract or their most well known, Pure Vanilla Extract. 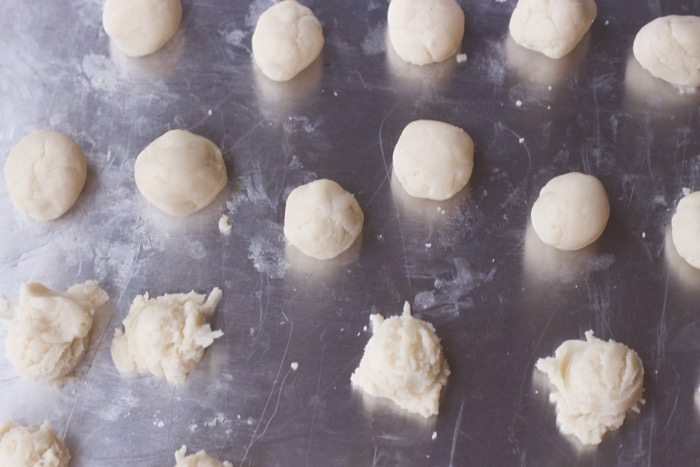 Make your dough and then scoop small balls onto a cookie sheet. 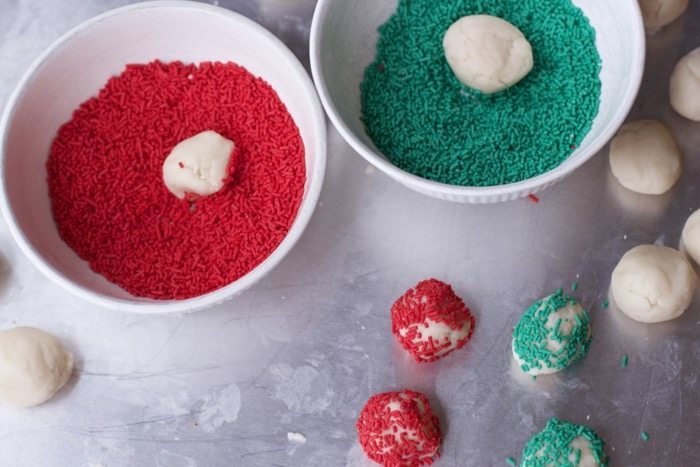 Roll them into one inch balls and then for the optional but super festive step, roll them in sprinkles. Everything looks better with sprinkles! 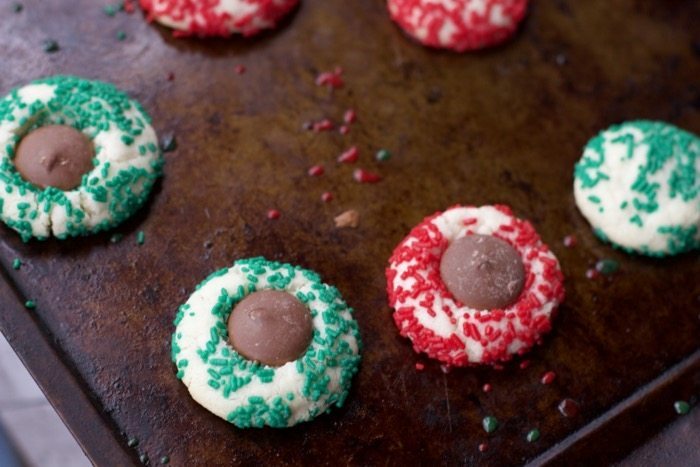 Bake them and then immediately add a chocolate disc. I used Ghiradelli chocolates. 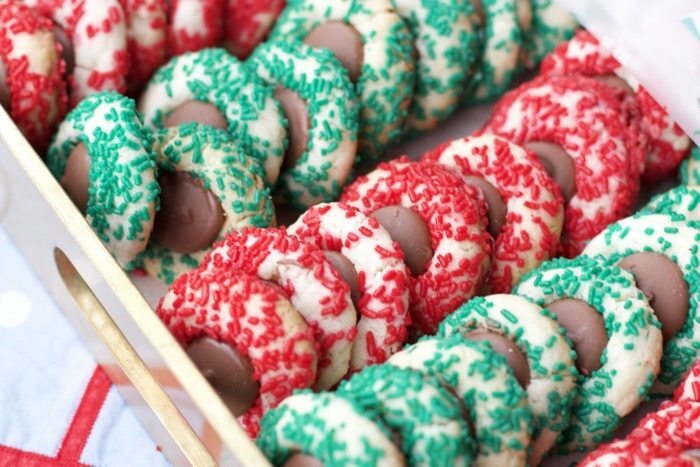 Allow them to cool slightly before trying to move them to a cookie rack, these are fragile until they have cooled. 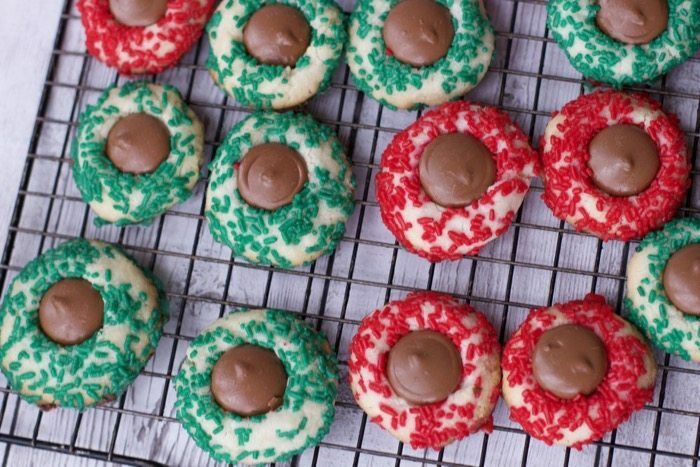 These will be the hit of any Cookie swap or cookie tray you make this holiday season. Preheat oven to 350°F Line 2-3 cookie sheets with parchment if desired. Cream butter and vanilla with mixer. In a separate bowl, sift together powdered sugar, cornstarch, flour and salt. Gradually add dry ingredients to butter, beating constantly on high until the batter is the consistency of whipped butter (about 5 minutes). 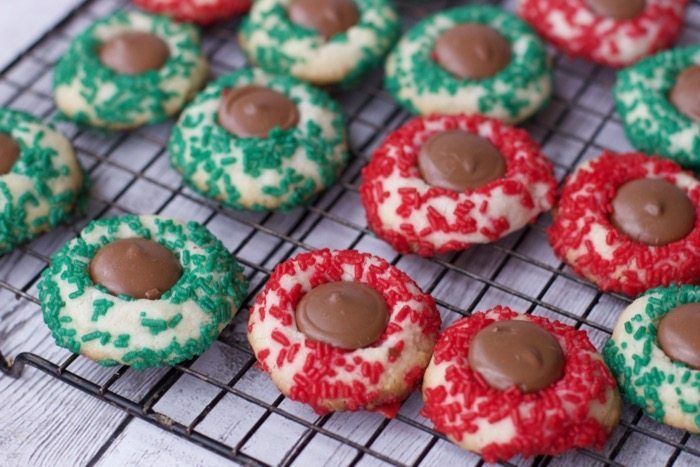 Drop dough by heaping teaspoons onto prepared cookie sheets. Roll into 1 inch balls then roll into jimmies. Bake for about 12-15 minutes, or until cookies begin to turn golden on edges. 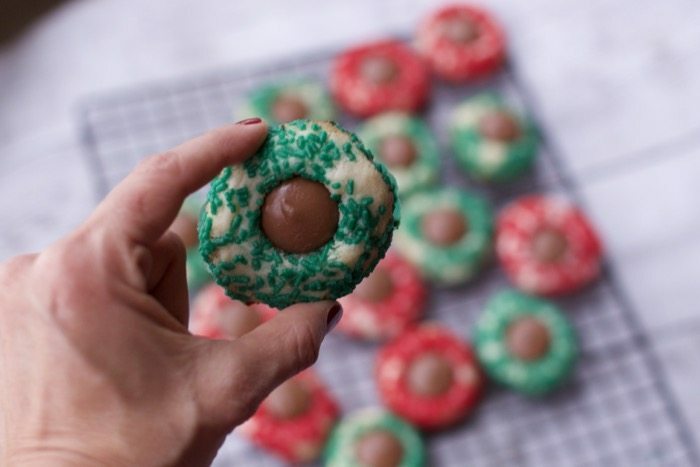 Immediately after removing cookies from oven, press one chocolate piece into the center of each cookie. Cool completely. Be sure to pin this recipe for your next baking session and be sure to pick up some Nielsen-Massey Pure Vanilla Extract to make them taste that much better.